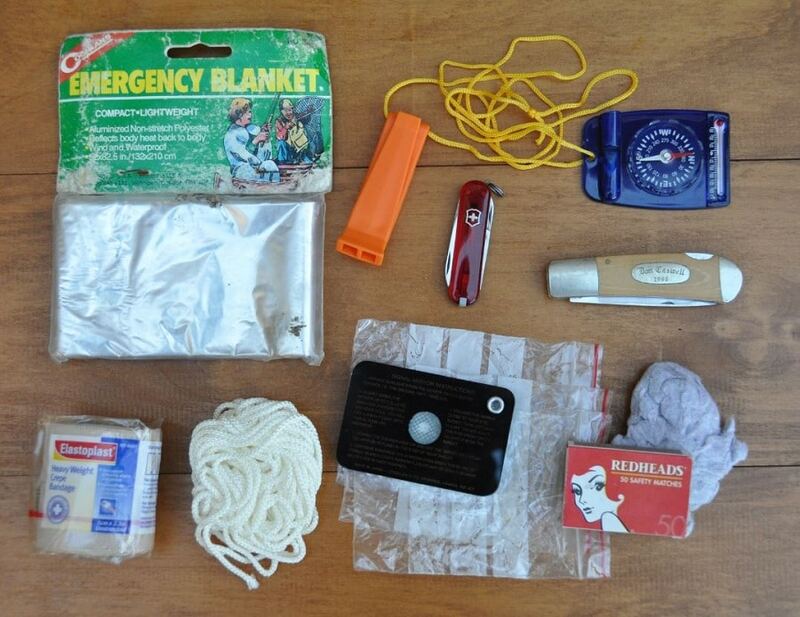 Do you know how to make a survival kit? Have you ever tried to put one together? If not, then you definitely should not ignore this article! If you did, we may give you some additional tips that will improve your life as an outdoor adventurer. 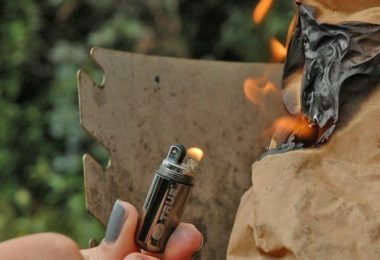 All in all, regardless of the fact that you’re a complete beginner or a professional, you can always learn something new about survival kits. Especially if we consider the fact that they are different from one type of emergency to another. One of Earth’s most terrifying disasters is the earthquake. This happens completely unannounced and has the potential to cause mass damage. So, especially if you know you live in an active area, it is an absolute necessity to stay well-equipped with a survival kit that can get you out of a messy situation when the tectonic plates act up! 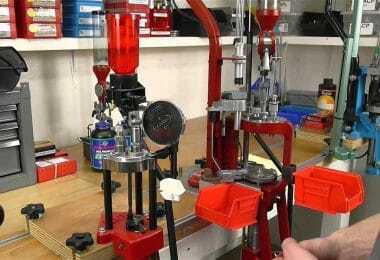 Keep in mind: Your kit must be ready before the earth starts shaking! If you don’t have anything prepared by then, there’s no time to gather things during the earthquake! In short, it is imperative that you keep some medications, first aid kit, food supplies, emergency water, and the likes ready regardless of the fact that you are at home or outside. 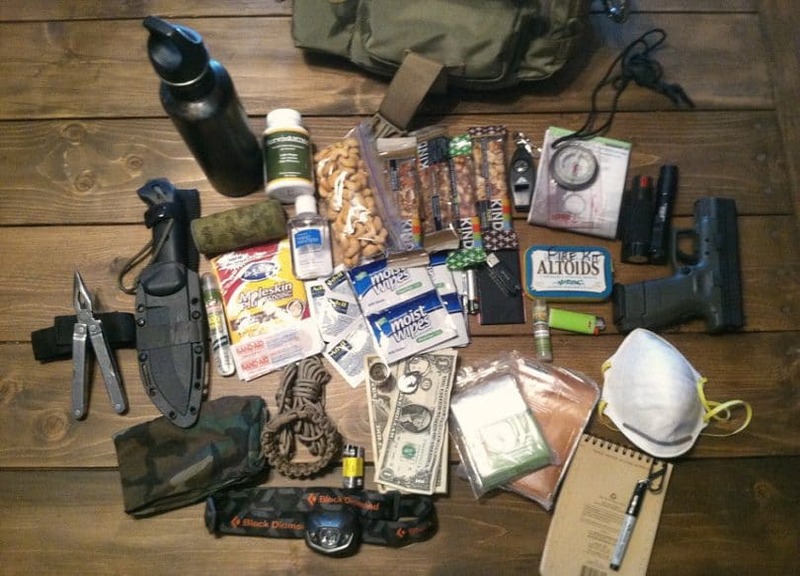 So, let’s see what you should have in your survival kit according to various situations. This should be stocked up every now and then and kept in waterproof bags to ensure protection. 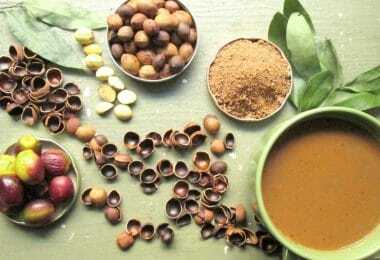 This is the first step towards making your survival kit, but just the medicines will not be enough. You should also make sure that you pack enough materials for dressing your wounds like bandage strips, rolled gauze, cotton swabs, and scissors. Apart from these, a thermometer, soap, sunscreen and sanitary napkins should come in handy. When you are travelling, you need to pack your emergency kit very smartly. This has to be precise, minimal but should include all the essentials. Some of the ideas here would include a change of clothes, warm winter garments (if the action happens in winter), blanket, flashlight, gloves, a map of the locality, light tools, jumper cables, ropes and the likes. When you are work, you need to fit in the maximum number of necessary things in your compact survival kit. Some non-perishable food items and water are an absolute must. To that, you could add some light clothes, torch, medications, a small radio, sunglasses and/or eye glasses, and a pair of shoes that can keep your feet protected from broken pieces of glass, pins and the likes in the event of an earthquake. 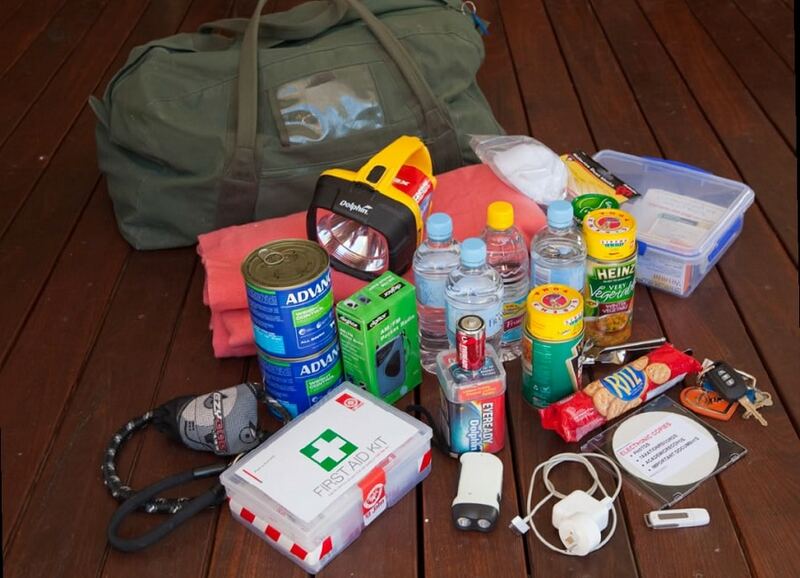 Here are some ideas of things you could pack in your survival kit in order to be prepared for a fire situation. Water: There is nothing that can replace the importance of water. This is especially true when a lot of people are stuck in a similar position with fewer amenities. Now, when you pack the water, make sure it is in plastic containers or pouches that are to carry around. Moreover, if you opt for glass containers or bottles, there are high chances they will break down in the event of a rush. Water is not only required for drinking, but also for other purposes like sanitation so make sure you have enough stored. Food: The choice of food for making your survival kit is a rather tricky one. First, the food you pack must be enough for 3 days for all your family members. Also, food that can be consumed raw like fruits and vegetables, ready-to-eat packets, juice, biscuits and the likes would help you here. First aid kit: This is something that you cannot just ignore when you are making a survival kit. Apart from food and water, you need resources that will take care of your health and heal you in the case of accidents. Here’s what it should be in your first aid kit: adhesive bandage, band aids, gauze, scissors, tweezers, needles, thermometers, petroleum jelly, safety pins, gloves, and antiseptic ointments. Non-prescription drugs: In this section, the first thing that should go into your survival kit is aspirin. Apart from this, you could pack in some antacids in order to protect your digestive track and prevent stomach upsets, anti-diarrhea medicines, laxatives and the likes. Moreover, if you are on some kind of drugs in general, make sure you include them as well. Tools and supplies: Now, once you’ve taken care of the food, water and drugs, it is now time to look after the environment you would be taking shelter in. 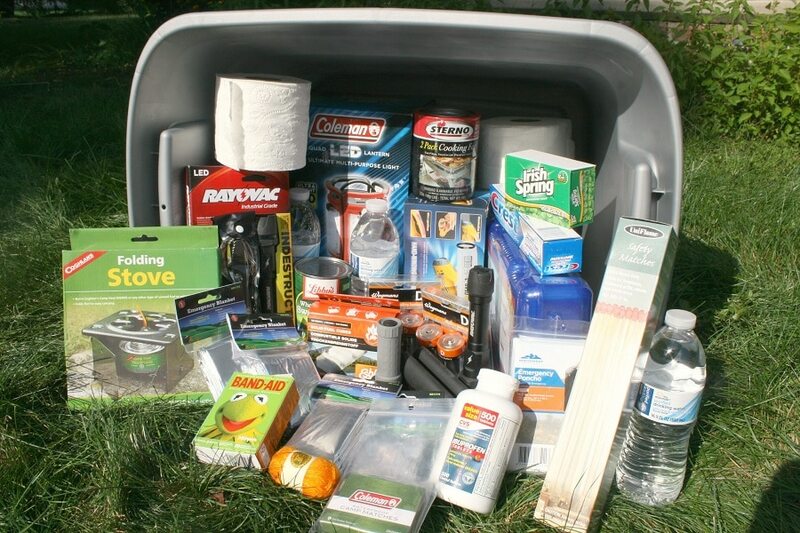 This emergency kit for fire would include hammers, pliers, wrenches, flashlight, a tube tent, matches, aluminum foil, plastic sheeting, storage containers, and so on. Some soap and other sanitary aids wouldn’t harm you here. More importantly in the case of a fire: Keep some packets of sand and thick blankets ready with you just in case you find it difficult to escape the fire. This could help you protect yourself from the moment before you are out of danger and into safety. The problem with floods is that, when your house or building is affected, it is very difficult to take shelter anywhere else. However, when the warning is issued, you will have to abandon your home and the only thing that you’ll be able to take is the survival kit. A flood may not be as sudden as an earthquake, but you have the obligation to be prepared. This becomes paramount if you know your area is predisposed to this kind of disasters. Once the rain starts and the water level starts to grow, it will be extremely difficult to go to the store and buy everything you need. Even more, food, water and medication are the first supplies to go in case of a disaster so, being prepared is extremely important. Firstly, you do not want your kit to be too huge or bulky; in these situations, you would be faced with the daunting task of carrying your kit out. Secondly, you wouldn’t want to leave out the essential objects. These might be a little contrasting in action, but it is imperative to keep both these aspects in mind before proceeding with making your survival kit for floods. Remember, if you have the right supplies with you, you would stay protected till the water recedes. 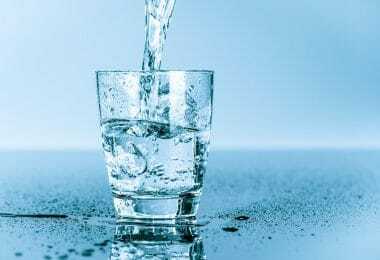 Food and water: First things first, tick the first option in the checklist and ensure that you have sufficient water and food packed in your emergency kit. The best choices in this case are dry, dehydrated canned foods that will not perish in time. Avoid taking raw food that needs to be cooked since you are, most likely, not going to be able to prepare them. Keep a good 3 days supplies in stock before proceeding. When it comes to water, you must keep enough to sustain a person for 3 days including drinking water and for sanitation purposes. Sanitation: Most people often tend to ignore this aspect of the survival kit. Just taking food and water is not going to do the job for you. You also need to ensure that you have appropriate sanitary measures in order to protect yourself in the nasty flood situations. Hand wipes, toilet paper, soap, sanitary napkins, sanitizers, tissues and other personal hygiene components. When it comes to those difficult days, every part of the survival kit will come in handy. More importantly, whatever you carry with you should be stored in waterproof bags that won’t get destroyed in the floods. Besides, whatever you carry, make sure they are non-electric in order to eliminate the chances of further trouble. First aid kit: As mentioned before, a first aid kit should be kept in every survival bag irrespective of the situation. This would include things to dress up wounds like bandages, band-aids, scissors, and some other items like Aspirin. Medication is important because you are not likely to get any when you are out in the open during flood situations. On the whole, when you are making a survival kit for floods, you need to be equipped with a bag that will sustain you for 72 hours. Do not make it too heavy or carry large objects. All you need to do is include some clothing, some food, some tools to help you survive and the likes. Also, remember that water and electricity do not go well together. So avoid anything that is electric or could lead to sparks. When you decide to follow your passion and go backpacking in the mountains, it is essential to keep a survival kit ready. This is going to ensure that you stay safe and secure at all times. Now, to answer the question of how to make your survival kit for the hiking trips, we have to say that it is rather relative. While some people can survive with a knife in the woods, some others would require a lot more. The elements in your emergency kit depend on the type of survival skills you possess, the area where you are hiking, and the comfort level and. But having said this, you need to be wise in your choices. Keep in mind: Only pack things that are light, can be carried easily, and can be packed into a compact bag. Let us now have a look at some of the things you must absolutely have in your survival kit for camping. Pocket knife: This is the first thing you need in your kit. Even though we have repeatedly emphasized on the use of different tools for emergency situations, the pocket knife is most useful in outdoor environments such as hiking through the woods. An all-purpose pocket knife is going to be your closest companion during emergency conditions. Why don’t you check out our piece on the best survival knife to give you more options. You can use it for shaving to carving, cutting duct tape, and for many other purposes. Make sure that your knife knife is strong and sturdy and will come to your aid in times of need. Duct tape: Duct table can solve anything! From putting together those broken pieces of your shelter to mending your impaired gears and tools, it can help you every day. Whatever is your situation, a piece duct tape is going to be extremely useful in an emergency. Headlamp: A few minutes in the darkness will definitely make you think about the last horror you saw. 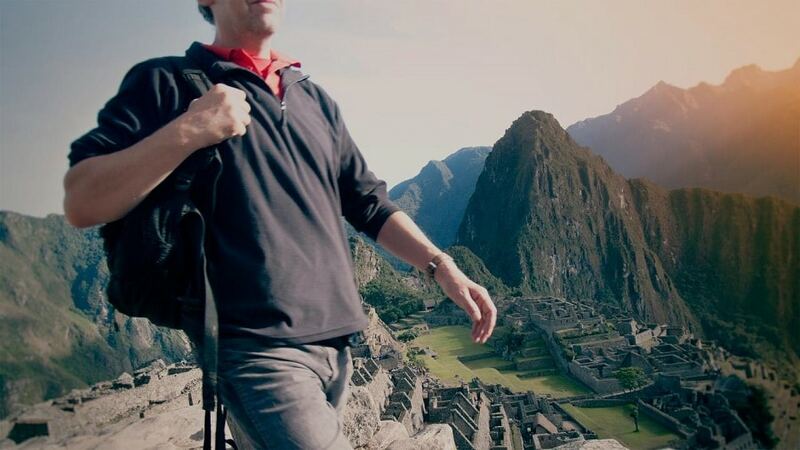 Imagine getting lost in one of those trekking areas, at night, with little or no supplies! This is why you would need a headlamp to at least give you a sense of direction and thus, keep you protected. Water treatment tablets: What assurance do you have that there will be a source of drinking water out there? More often than not, drinkable water is missing from camp sites. Thus, keeping some water treatment tablets could prove to be handy. Irrespective of what the water source is, just pop in a few of these tablets and you are good to go. Compass: While the headlamp can let you see the routes around, a compass can help you figure out your way around the woods. This is absolutely essential in order to get yourself back to a known place where you could resort to other sources of help. Space blanket: If you are trekking in one of those cold areas, keeping a space blanket can do you a lot of good. With the help of such a blanket, you could keep yourself warm on those cold nights till such time that you get shelter and enough resources to sustain yourself. See our review of the best survival blankets to learn more. First aid supplies: Irrespective of where you go, never forget to carry a first aid kit! A few aspirins, band aids, gauze, and more never hurt anyone. So, keep them ready with you at all times. The longer the hike, the better equipped your first aid kit should be. Emergency Whistle: There are high chances you might not even need a whistle, but it is better to have it and not require it than require it and not have it! If you want to get in touch with your detached group members, all you have to do is blow the whistle and make them aware of your presence. Fire making tools: Yes, you would need to light a fire, something to keep yourselves warm and, sometimes, to keep the light on. It doesn’t matter what kind of tools you carry, but make sure you have things that can start a fire. Waterproof matches and tinder would be a nice start to this kit. Now that we know what to include in the survival kit, it is time to know how to pack everything together. I mean, you have to fit a whole lot of things into one bag that also needs to be light! Check out our top survival backpack to help you with excellent choices. First, you have to select the container for the kit. Yes, before you put all the contents inside, you need to choose a bag that suits your purpose. Now, broadly speaking, the bags here can be divided in a 3 tiered structure. First tier kit: This essentially refers to a fallback survival kit, something that has all the items that you would ever need at a time. This is required to be with you at all times while you are at work, at home, while you run some errands and the likes. It is a small bag that should contain the mere necessities like a compass, a penknife and the likes. Second tier kit: This bag is slightly bigger in size. This is like a small carry bag which could be stacked somewhere in the back of your car. 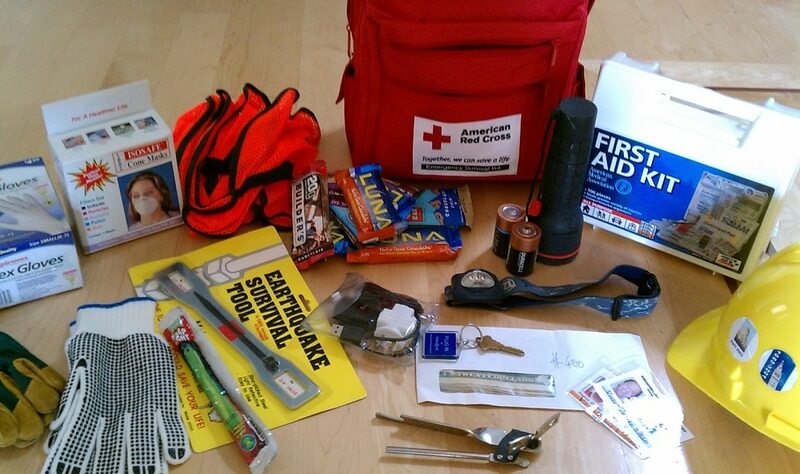 You could include items like a first aid kit, certain essential tools and the likes. Also, you could upgrade on the items in the first tier kit by adding a bigger compass and some others. 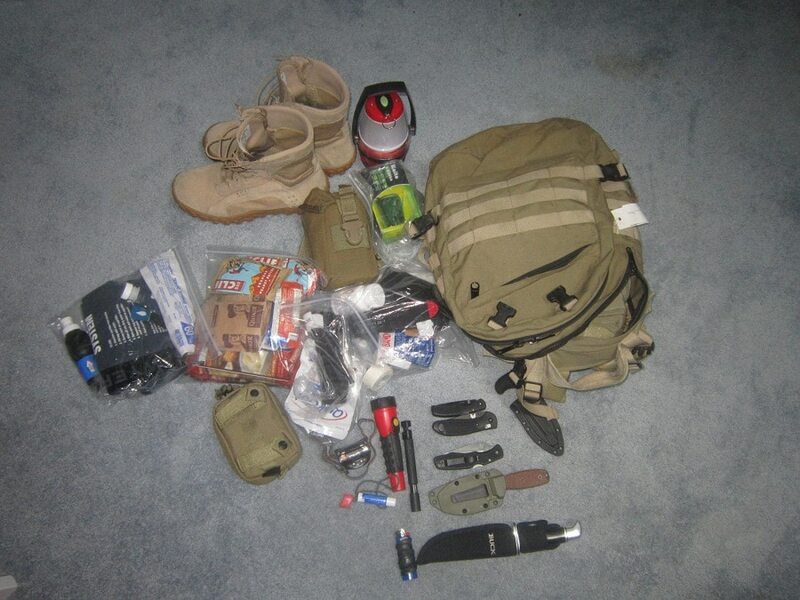 Third tier kit: This is the last type of a survival kit bag. This is what is often referred to as the go-bag that should contain supplies enough to keep you well for a few days. In general, such a bag should contain supplies for a 72 hour period. Even though it is a backpack and is slightly bigger than the other two, it should be kept in a place such that it remains accessible at all times. What should be kept inside this kit? Items of personal safety, sleeping bag, water, food and the likes could go in there. Any type of paper documents should be rolled up and kept inside a waterproof bag/container. Tools should be packed in such a way that they are always accessible in case of emergency. For instance, you could pack the hammer and pliers in a small pouch and attach it in the outside of the bag. You could also add things like a torch to that small outer pouch. This ensures that whenever you need your tools, you will get them without having to look through the contents of the bag. Compartmentalizing your bag will help you keep it arranged all the time. This will also help you keep track of the contents such that you do not have to dig for them when in need. Keep in mind: Always try to keep your bag light and compact. It is important to remember that in the case of an emergency, it will be difficult to move around with a bulky bag. Thus, pack your emergency kit wisely! Not Sure You Need A Survival Kit Yet? No matter where you go or what situation you are stuck in, a survival kit can always come in handy. This should have all the essentials for sustaining yourself for at least 2 or 3 days. In the case of a flooding emergency, one would require a lot of waterproof items like waterproof matches, raincoats, high boots and the likes. On the other hand, in the case of earthquakes and fires, you would need to pack essentials like enough food and water to keep yourself going for 3 days. These are some ideas on how to make a survival kit in different cases depending upon the type of emergency and the location. Did we miss something out? Do let us know your ideas!